Home ›› What are the laws about ice? This section outlines the law for methamphetamine (including ice) related offences in Australia. This information is a general summary of the law for methamphetamine and should not be taken as comprehensive legal advice. 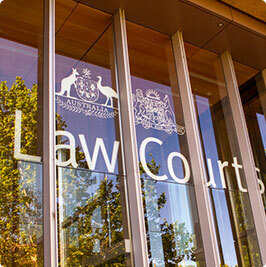 If you have been charged with a drug offence you should contact a criminal lawyer for assistance. The possession, supply, traffic, importation, exportation and manufacture of methamphetamine and its precursors are prohibited in all Australian states and territories and against Commonwealth law. It is also an offence in most parts of Australia to use methamphetamine or to possess any implement for using methamphetamine (e.g. a pipe) other than a needle and syringe. In Queensland and the Northern Territory it is also prohibited to possess a needle and syringe if it is not disposed of safely or if it is considered a risk to society. The two most common drug offence types are 'possession' and ‘supply’. So what do these offences mean? Possession: this includes physically carrying an illegal drug on you, or having it at your place of residence or in your motor vehicle. Possession also includes jointly possessing a drug with another person. Supply or trafficking: this means providing an illegal drug to another person. Traditionally a trafficker is considered someone who exchanges drug(s) for money, property or services. However, if any illegal drug is passed onto others (even friends) this is also considered to be ‘trafficking’. Legal penalties for drug offences relating to methamphetamine are different across Australian jurisdictions. Penalties also vary by the type of offence (i.e. possession vs. supply) and whether the prosecution charges through minor (summary) or major (indictable) proceeding. See glossary for definitions. 2-3 years prison for use or possession of methamphetamine or particular drug paraphernalia (e.g. methamphetamine pipe or a used needle and syringe). 2–25 years prison for a lower level drug trafficking offence. Higher level drug trafficking offences carry a maximum penalty of 21 years prison in Tas, 25 years prison in Qld, and life imprisonment in the ACT, NSW, SA, Vic, WA and the Commonwealth. Possession of methamphetamine: 2 years prison and/or $2000 or referral. NB. A referral for assessment at a drug treatment service is required for all simple possession offences during which criminal proceedings are stayed. Any person who completes the assessment and any treatment, education or rehabilitative programs is immune from prosecution. Cth: Commonwealth law refers to Australian Federal government law. All prosecutions for methamphetamine offences that are considered a Commonwealth/Federal crime (e.g. drug importation and exportation) are conducted in the state or territory courts using the criminal procedure of that state or territory. PU: Penalty units. PU are used in many jurisdictions to calculate the amount of a fine. 1 PU in April 2018 = $110 (NSW), $126.15 (Qld), $150 (ACT), $158.57 (Vic), $154 (NT), $159 (Tas), $210 (Cth). S and I: Summary or Indictable Offence. Methamphetamine offences in some jurisdictions have the option to be dealt with summarily (in the lower courts without a jury). For simplicity penalties for public places are listed. What will the police do if I am caught with methamphetamine on me? If you are caught with even a small amount of methamphetamine (including ice) the police will confiscate it and you can be arrested. What the police do depends on the circumstances (e.g. whether you take responsibility for the offence, your prior criminal history and what state/territory you are detected in). See the next section for information about police diversion programs. Which states offer police diversion programs? There is no police diversion for anyone found possessing minor quantities of methamphetamine in NSW or QLD. In all other states, if it is your first or second offence, you are likely to be offered the opportunity to be diverted into an education or treatment program instead of receiving a criminal charge. Some states have restrictions on the maximum quantity of drugs you can be detected with in order to be eligible for a diversion program e.g. 1g methamphetamine in VIC, 1.5g in ACT and 2g in NT and WA (no restrictions apply in TAS or SA). If you have a larger quantity of drugs you are likely to be ineligible for a diversion program and you may even find yourself at risk of being charged with supply (see below). WHAT IS DEALING, AND HOW DO THE POLICE DECIDE THIS? Supply or 'dealing' is a very serious offence, and imprisonment will be the usual response for anyone convicted of trafficking or supply, unless there are exceptional circumstances. Anyone sanctioned for drug trafficking may also be subject to asset confiscation laws, which means they may have their property or the property of their family confiscated. ‘large commercial’ or ‘marketable’ thresholds. These thresholds are based on the quantity of drug involved. People can still be charged with trafficking if they have less than these amounts (e.g. if they are caught with evidence of intent to traffic, such as large sums of money, drugs distributed into multiple bags or in the act of supplying drugs to another — even friends). Under 'deemed supply' laws anyone who carries or possesses an amount that is equal to or exceeds the trafficable threshold (see Table 2) will be deemed to have drugs for the purposes of supply. Trafficable thresholds for methamphetamine in each state and territory are outlined in the table below. Mixed Drug: Total mass, however it was sold on the street, including any added ingredients such as fillers and binding agents. Pure Drug: Weight of active principles only: excluding buffers or glucose. Is it against the law to take methamphetamine and drive? It is an offence to drive, attempt to drive or supervise a learner driver with any illicit drug in your system. Unlike blood alcohol concentration (BAC) testing, where there is a legal blood alcohol limit, it is an offence if any amount of illicit drug is detected. You can still be charged with driving under the influence, even if you think the effects of methamphetamine have left your system. All states and territories have the power to use random roadside drug testing which includes testing for methamphetamine. In some states if you refuse to provide a saliva sample when you are stopped, you may be fined. Typical penalties include a 6–12 month disqualification of your driver’s license (or being stopped from attaining a license if you are a learner driver) and a fine (see Table 3). Prison is also an option. Penalties are greater for subsequent offences. Most jurisdictions also have additional offences for ‘driving under the influence’. This means that if you take drugs and are involved in an accident or are detected by police for impaired driving the penalties may be more severe. WHAT IF I BUY METHAMPHETAMINE FROM AN ONLINE MARKETPLACE? It is an offence to import methamphetamine across the Australian border either for personal use or to supply to others. If you buy a drug such as methamphetamine online, even if there is no proof that the drug came from overseas, you may be charged. The prime criteria for police and courts is whether you should ‘reasonably suspect’ it to have an international origin. Importation of only 2g of methamphetamine carries a maximum penalty of 25 years imprisonment and/or 5,000 penalty units (307.2 of the Criminal Code Act 1995 (Cth); and Schedule 4 of the Criminal Code Regulations 2002 (Cth). WHAT RIGHTS DO POLICE HAVE TO STOP AND SEARCH ME FOR METHAMPHETAMINE? Police have the powers to ‘stop, search and detain’ anyone in a public place who they believe may possess illicit drugs. Police have the power to stop and search anyone in a public place they believe is purchasing drugs and/or is trying to buy or supply illegal drugs. Police can search your property (e.g. your car). Police must have ‘reasonable grounds’ to undertake the search, but failure to comply is an offence. If police search you they may ask you to turn out your pockets and conduct a pat down or a full search (a full search should be conducted away from immediate public view). If you are searched and drugs are found on you then you are required to give your name and address to police. Police are likely to seize the drugs, but as outlined above the outcome will depend on the quantity of methamphetamine found, your behaviour, the discretion of the police officer at the time and the laws in the jurisdiction in which you live. WILL THE POLICE BE CALLED WHEN AN AMBULANCE IS ATTENDING AN INCIDENT RELATING TO ICE? Many people do not call an ambulance for fear of police involvement. However, the police will usually not attend overdoses or incidents related to illegal drugs, such as ice, unless there are special circumstances. It is important to call for an ambulance immediately (000) if there is any risk that someone is having an unusual reaction to ice or any other drug. How might these consequences affect me and my future? If you are sent to court and receive a criminal conviction it can have a serious impact on your future prospects. For example, it can stop you being able to visit some countries (e.g. the USA), limit the types of jobs you can apply for, or lead to you being refused a job, dismissed or denied a promotion. This factsheet was developed following expert review by researchers at the National Drug and Alcohol Research Centre (originally developed in 2014, and last updated in 2018). It was written by Caitlin Hughes, of DPMP, NDARC in consultation with Siobhan Lawler, Katrina Champion, Cath Chapman, Nicola Newton, Mary-Ellen Brierley, Lexine Stapinski, Natasha Nair, Brad Shaw, Frances Kay-Lambkin and Maree Teesson. Key source: Hughes, C. (2014). Drugs and the law: What you need to know. Sydney: National Drug and Alcohol Research Centre, University of New South Wales.